I start work pretty early this morning, 6AM to be precise. That means I usually get up around 4:30, get dressed, and make a little coffee to prime the pumps, so to speak. If I have time, I read a little news on the computer before jumping in the car and braving the Los Angeles traffic. This morning, I my laptop announced that Windows needed to install an update and restart. Just as I was leaving for work, I told Windows to go ahead run through the update process. I knew I had saved all my documents... Including that Fusion 360 part I had been working on the night before. Of course I saved.... right???? RIGHT??? Sure enough. 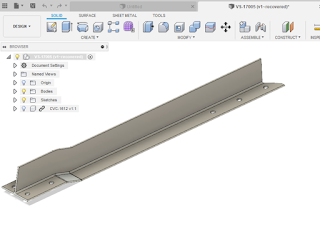 At lunch, I open up Fusion 360 to take a look at my part. I'm going to bathe in the the power of the cloud and all the power of accessibility it grants me! And I see a blank screen when I open my document. That part I was so sure I had saved???? I hadn't. I mentally shrug and accept that I'll have to redraw the part. It wasn't complicated and it will only take a few minutes to recreate. But still, the CAD version of "Groundhog Day" is never fun. 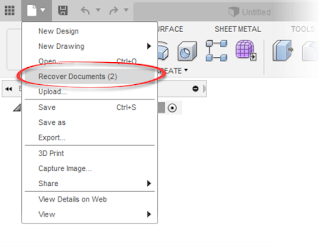 Once I get home, I opened up Fusion 360, considering recreating my geometry, and with the voice of angels, the document recovery screen appears. And it includes the part I had forgotten to save! the filename for my recovered file. In my excitement, I had already recovered it. I didn't have the courage to try to re-break it to see if it would recover again. All I had to do was right click, choose open, and bask in the joyful joy-ness of File Recovery. File Recovery pops up when there are files auto-saved on your computer. It's a handy reminder there is potential data that can be salvaged. 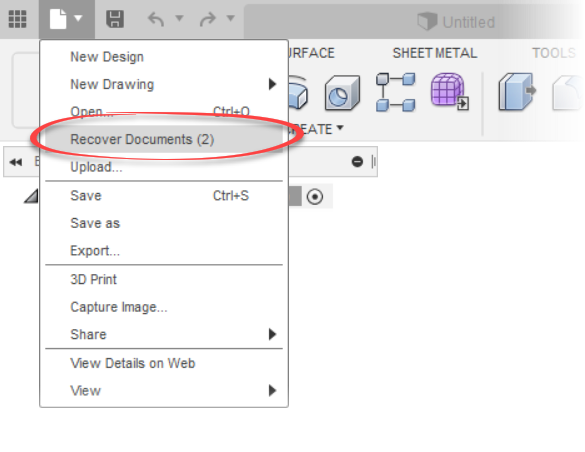 It can also be manually by choosing the "Recover Documents" option from the File pulldown. 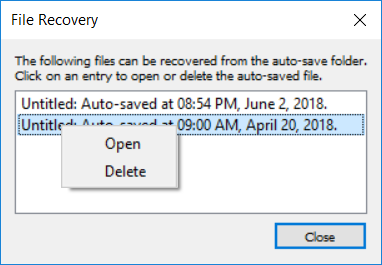 Regardless whether or not it's access at startup, or manually from the pulldown, it can be a great way to recover lost work in case of computer/software crash, or if, as in my case, a forgotten file save! Boy am I glad I didn't have to rebuild this geometry! (note the part name states its "Recovered"